Home / Business / Is There Demand for Your Product? Checking to see how many searches per month that a particular product gets is a great starting point to see if your niche is big enough for you to make a decent living. For example, analyzing keywords should allow you to quickly determine what your profit per sale could approximately be by weighing the competition’s prices versus your wholesale cost. Then you can make a rough estimate of what your click-through and conversion rates would be, giving you an idea of what your range of profit numbers might look like. 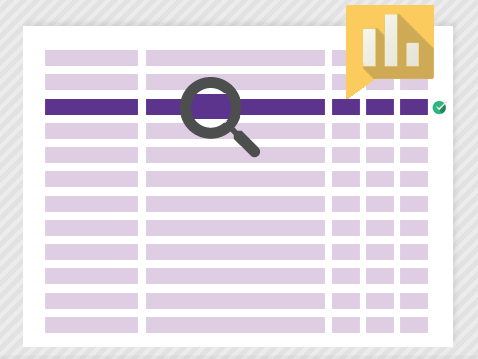 Using the Google Keyword Planner Tool will give you the opportunity to search for keywords to identify the number of searches that are being made every month for a particular term, what the competition is like, and any related keywords that are being used to search for a specific product. Ideally what you want to see are search terms related for your product that get high search volumes, but without super high competition. While more broad terms related to your product might have high competition, there may be plenty of related search terms that have low to medium competition with high search volumes, which translates into a potential opportunity. While a lot more needs to go into identifying whether your business idea may be profitable, conducting a keyword analysis can allow you to filter through poor ideas with very little demand right away. Using Google Trends is a great tool to see if the product you’re thinking of selling is on an upward trend in popularity, and when it all started. For example, if you’re considering getting into the market of organic almond butter, a simple scan through Google Trends will show you not only if popularity exists for this product, but also what the current trend is. If you see a rise in trends for the product, you may have something solid to go on. To validate the popularity for the product, scan through recent product reviews. Ideally, the majority of reviews should favor the product. However, if you do see any negative comments, reading through them can also be helpful in discovering deficiencies in current products that you might be able to take advantage of. It’s helpful to conduct a Google search using a broad search term for your product to see what is currently ranking in the top few spots. This will help you get an idea of what your competition is like. Ideally, what you’d like to see taking top spots in Google are random posts and articles that aren’t necessarily tied to any company or strong domain that is taking over the search term. You want to see the same sort of thing when using related search terms as well. With this type of scenario, you have a pretty good chance of ranking pretty high in Google when you’re competing for the term. This would be a lot tougher if you were up against major brands and companies, of course. Now that you have determined that plenty of people are in fact searching for your product, you want to identify where these people are located. This is particularly important if the product you plan on selling is specific to one geographic area. You’ve got to ensure that the people who are searching online for your product live in the area that you can sell and ship to. 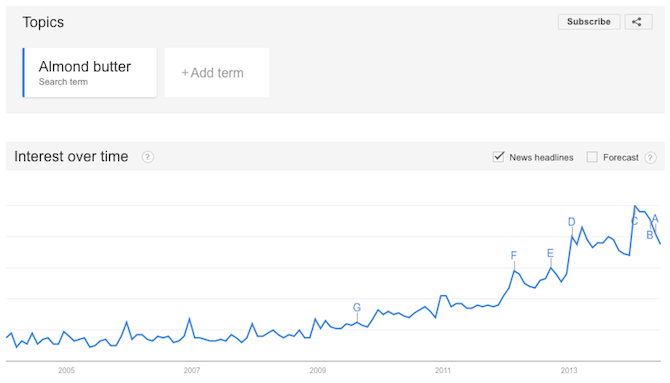 Luckily, there is a quick and easy way to do this – by using Google Trends. By simply plugging in your search terms, Google Trends will populate the countries and cities where people are searching for your product, as well as how many searches are being conducted in each geographical area. Online forums are particularly useful for getting an idea of what people are looking for. Visit a few forums in your niche and conduct a search for your main terms and related terms to see if people are asking questions about your product. When you visit forums within your niche, are people talking about your product, and are they looking for it? Landing on a kind of product a lot of people are talking about but doesn’t have wide availability is ideal. Browsing through social media channels like Twitter, Pinterest, and Facebook can help you get an understanding of the market for your product and its demand. You can use Twitter to check out the volume of daily tweets by searching your keywords. For example, if your product involves organic almond butter used for skin care, conducting a search using the terms “organic”, “almond butter” and “skin” will give you sense of the sentiment of the tweets out there, and if there is selling potential. If you come across a number of phrases like “I’m looking for,” “I need,” and “Where can I find…?” along with your product search terms, you might have the potential for a solid business opportunity. Using social media platforms to research your product will give you an idea of the weight of conversation around your idea, as well as the type of language potential customers are using. This can be extremely helpful when writing product descriptions when you finally decide to launch, too. Although the quantity of competition for the product is important to consider, what’s even more important is the quality of the competition. If you have a unique spin on a particular product, you just might have the edge necessary to be very profitable in your niche. If you find that you might get lost in the crowd, you might want to consider narrowing your niche, then specializing in it. With a more generic product, you could find yourself up against already-established big-wigs in the industry. By narrowing your focus, you could find yourself ranking much higher in search engines since your product is so targeted. Using our almond butter example, rather than trying to sell plain almond butter, consider adding “organic” or “all-natural” in the mix or another flavoring. Or, you get the idea. Once you’ve set your sights on your niche of choice, identify who your top competitors are, then do a search of all their backlinks. This essentially allows you to determine what it will take to rank on the top spot of Google for your product. Since the number of quality backlinks can be a huge determinant of how well your website will rank, you can assess how much work it will take to overtake your competition. It’s key to understand that opening up an online store is not like opening up a traditional physical store. In many ways, it takes more work and time to analyze your potential for profitability than it actually takes to open a brick and mortar location. If you find your product fits all the criteria mentioned above, you just might have a winner on your hands. Of course, there are a number of different avenues you can take to find out if your product can be marketed and sold to allow your online store to soar. And that’s where you come in. Are there any ideas you know of that can help in the assessment of potentially profitable products? I’d love to hear all about them below!